The Mules took the court for a decisive fifth set on Saturday Sept. 8. This would be the last of 14 sets the team would fight through during the 2018 Buttermaker Tournament, a five team battle which commenced just an afternoon before. If the fatigue of four matches within 23 hours were to kick in during the upcoming set against Stockton the Mules would be handed their first defeat of the Buttermaker, annually hosted by Memorial Hall since the late 1990’s. The Mules entered the Stockton match with a sparkling 7-1 record so a potential 7-2 clip after a jam-packed weekend of matches would be nothing to scoff at. In fact, The Mules were in a similar scenario a week prior to the Buttermaker. Muhlenberg’s first four matches of the 2018 campaign were part of the Captain’s Classic hosted by Christopher Newport, a program ranked 23rd in the nation by the American Volleyball Coaches Association (AVCA) Division III preseason poll. 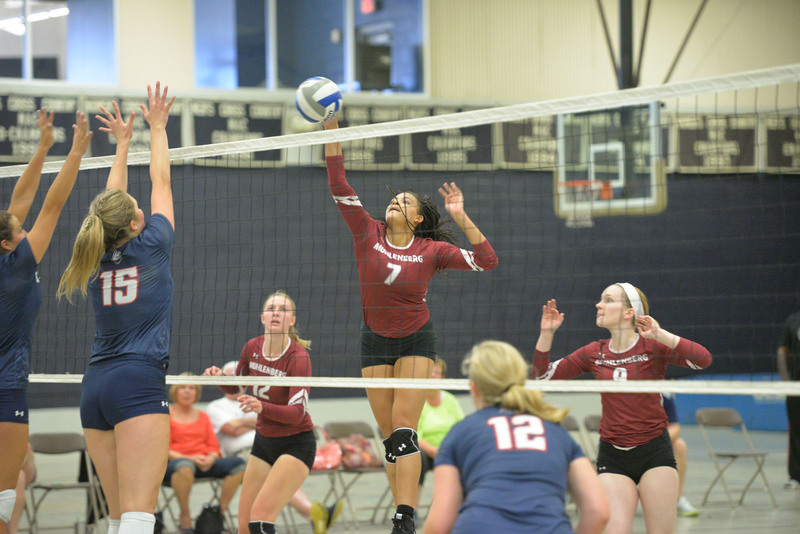 The Mules one loss on the season came in the fourth match of the Captain’s Classic after the University of Mary Washington captured a decisive fifth set, 15-13. Muhlenberg’s Volleyball squad had reason to have a chip on their collective shoulder entering the season. They did not receive any votes in the AVCA poll even after finishing 2017 with a 24-6 record. “We felt we deserved to be recognized nationally, so we’ve been working hard to be the best team we can be and beat strong teams,” said Erica Schultz ‘19, a middle hitter for the Mules. Out of Berg’s nine matches, four have been against teams who were either ranked or receiving votes in the AVCA poll that left Muhlenberg out. The Mules record in those four matches: 4-0. Their margin of victory has been steep too, 12 sets to three. The AVCA took notice of the notable wins by awarding the Mules 60 votes in the latest poll which was released on Sept. 4. Still not enough to qualify for the top 25, but paving the path to landing on the acclaimed list has begun. “I think the most fun part is getting to play a lot of good volleyball with very different teams. I love game days in general and to get to play four teams back to back over two days is really fun,” said Schultz, regarding the exciting buzz around the tournament weekends. Stevenson was an example of a nationally recognized program which The Mules faced this season, but have struggled against in years past. “Personally, one of my goals of the season was to beat Stevenson, having lost to them in the last two years,” said Schultz. 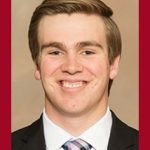 The 2018 Mules wrote a different story, “To not only beat them once, but twice [once in Captain’s Classic and once in the Buttermaker] was such an exciting feeling and a great way to start the season.” Schultz has started seven of the Mules nine matches and tallied nine kills combined between the two Stevenson matches. Muhlenberg also benefits from the return of every single player on the 2017 roster. The Mules did not have any seniors on last years roster which forced underclassmen to step up and be leaders in 2017. Enestvedt, Kelly Tornetta ‘19 and Shannon Hubert ‘19 were the captains of the 2017 team and finished the season with mantles full of awards. In 2017 Hubert and Enestvedt were awarded second team All-Centennial Conference, while Tornetta was a third team All-American. The trio has picked up right where they left off. Hubert has 340 kills and 112 digs making her the only player in Muhlenberg program history with over 1,000 digs and assists. Tornetta is the team leader in kills with 106 and Enestvedt is right behind her. Others have stepped up as well to become impact players too. Laura Boll ‘20 is third on the team in kills with 83 and is a force in the serving box accumulating 21 aces in the squads nine contests. Maya Illovsky ‘21 is the teams starting libero and has 170 digs so far, 58 more than the next closest player. Back to the Sept. 8 match in Memorial Hall: The Mules are tied with Stockton at two sets a piece. The teams traded the first four points back and forth working to an early 2-2 tie. Boll toed the line to serve. 3-2, 4-2, 5-2, 6-2, 7-2. The rally was too much for the Osprey of Stockton to handle as they could never put together a valid attempt to get back into the match. The Mules walked off of the Sport Court victorious, winning 15-8.